Peanut butter and Jelly Applique! A match made in heaven! We've also included a design with that super popular mustache! 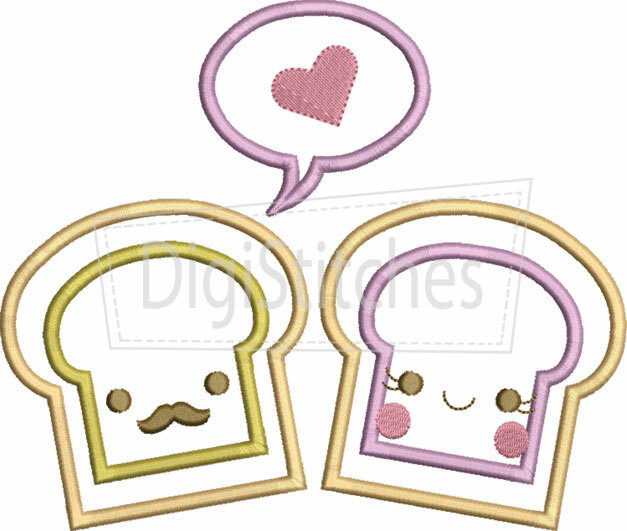 Peanut butter and Jelly Applique! A match made in heaven! Looking for matching feltie snap clips? We've got them too! Please see Related Products. We've also included a design with that super popular mustache! 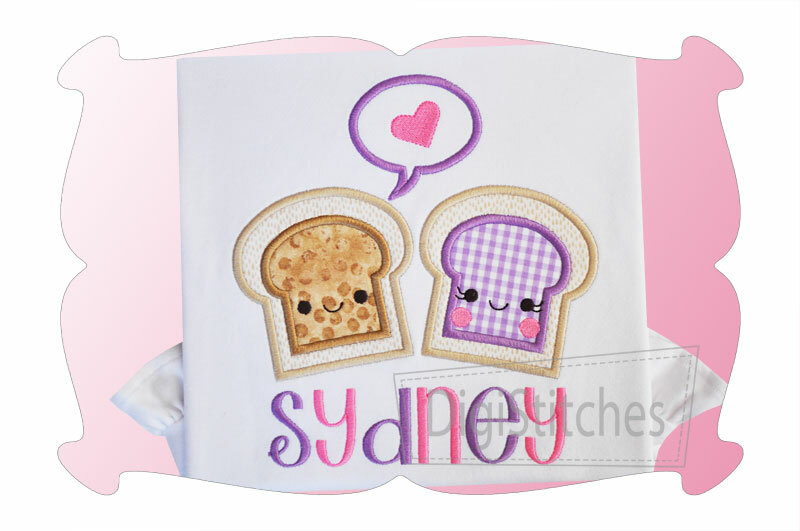 The "Peanut Butter and Jelly Applique" design comes in 4 sizes. All sizes included with your purchase!